Growing and maintaining a consistent Linux distribution like Ubuntu up to date is a very serious job. Making money from it to support further developments is another one. Canonical chose GNOME at first and pushed Unity afterwards. They made a beautiful and well integrated desktop that is a pleasure to use. We are certainly thankful. What if you like KDE? Oh well, we can't all be happy. Or can we? 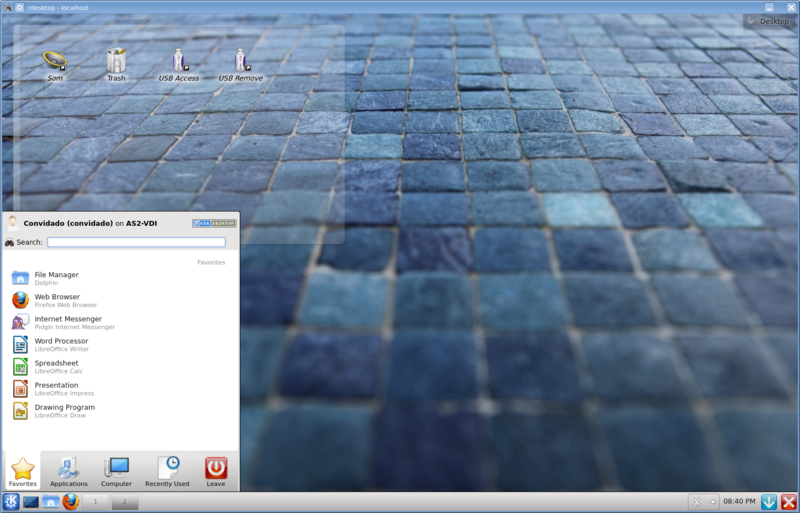 The integration of KDE on Ubuntu (in fact even Kubuntu) is not exactly the most polished thing in the world (let's not mention the default wallpaper... :-) . But that can be fixed and once done doesn't seem that difficult. This will bring you a desktop with a set of applications that work well together and nicely fit a KDE desktop. Note: it you don't know what /etc/skel is please read a correct explanation here. This not an algorithmic step but something to learn from inspection, trial and error. In the cleanup process is important to remove any references to the specific user you are logged in with (ex: references to Recent Files), and unnecessary geometry related references (ex: absolute dimensions of a panel) that should be calculated on the first login. Once done, this will make GTK based applications use a theme that somewhat matches the looks of KDE applications, unlike the default theme that doesn't look good at all under KDE. If things went right you can now add/remove the packages and install the skel configuration files on a post-install script. The result could look like this. Só mais umas achegas que podem ajudar outras pessoas. Os scripts aqui colocados são executados por ordem alfabética. MUITO IMPORTANTE - estes scripts emulam o comportamente de um utilizador, logo temos de ter o widgets desbloqueados para eles fazerem alguma coisa. ATENÇÃO - isto tem de ser a última coisa a fazer de tudo o que é executado senão as outras configurações não funcionam... e é melhor ainda fazer um pequeno timeout just in case.